Professionals? Request a wholesale account here! 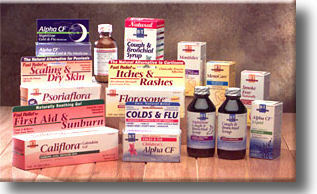 Please note that Boericke and Tafel is reducing their inventory to only the best-selling remedies. As a result, you may find the remedy or the potency you desire to be unavailable. To check current availability please contact us at 800-888-4066 or email at customerservice@celletech.com. The Boericke and Tafel company is one of the oldest and most respected Homeopathic companies in the world. 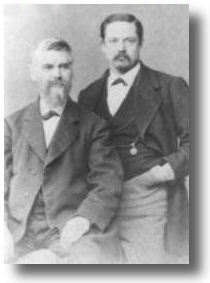 Invited by Dr. Hering to manufacture Homeopathic remedies, in 1853 Francis E. Boericke and Adolph J. Tafel founded the Boericke and Tafel company in the United States. Within 10 years or so, they had opened pharmacies in Pennsylvania, New York, New Orleans, San Francisco, Pittsburgh, Washington D.C., Minneapolis, Chicago and Cincinnati. They served some of the most famous physicians of their era, including Christopher Hering and James Kent. Boericke and Tafel were also publishers, responsible for publishing over 85% of all homeopathic books in the US, including the Boericke Materia Medica, which is still the standard Materia Medica in the United States. National Homeotherapeutic Products is proud to be a distributor for one of the finest homeopathic firms in the world. Please feel free to search our website for any of their fine products.